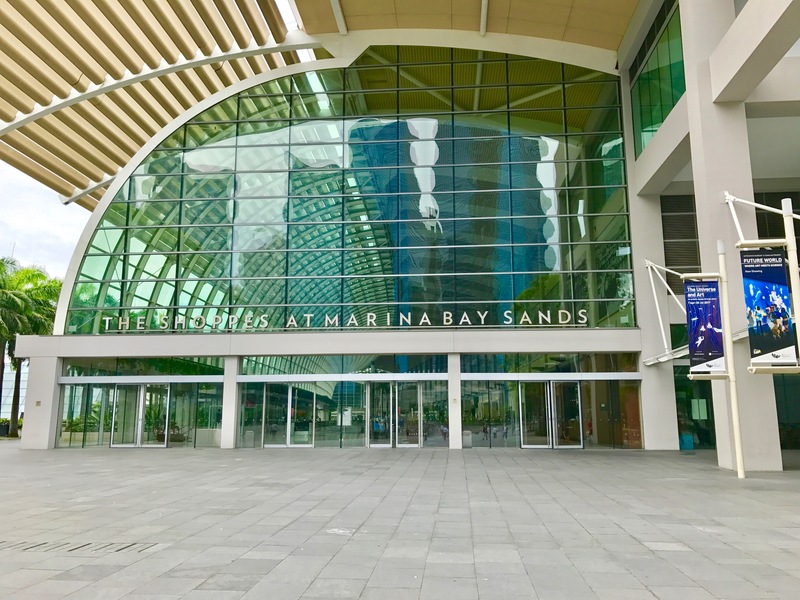 Before I started my trip to Singapore, I just knew the impressive Marina Bay Sands hotel and I heard about the shopping mile Orchard Road. But did I know more? No. I only knew I had to go there. 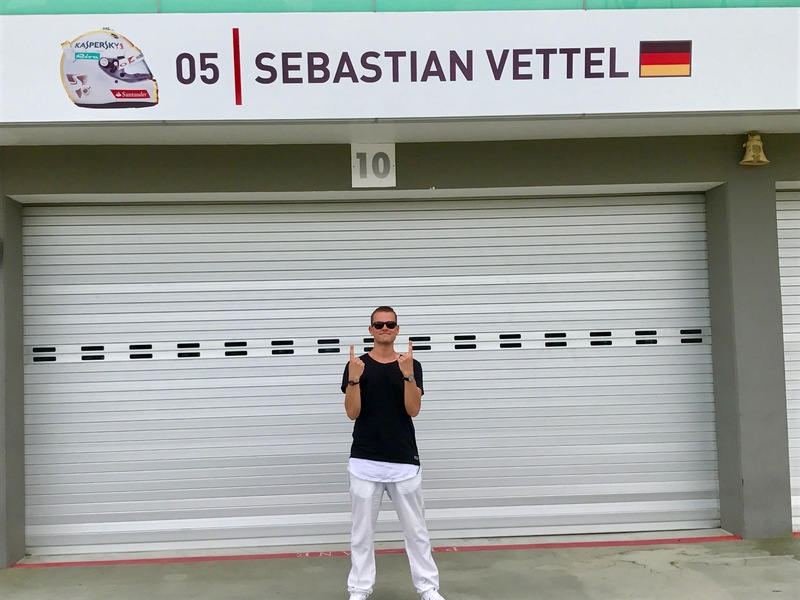 To Asia. To Singapore! 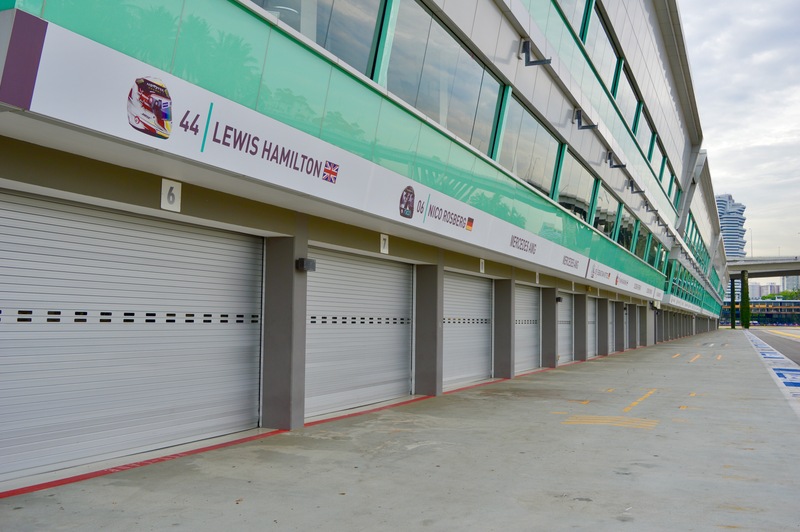 home – which means „I have to go there“! 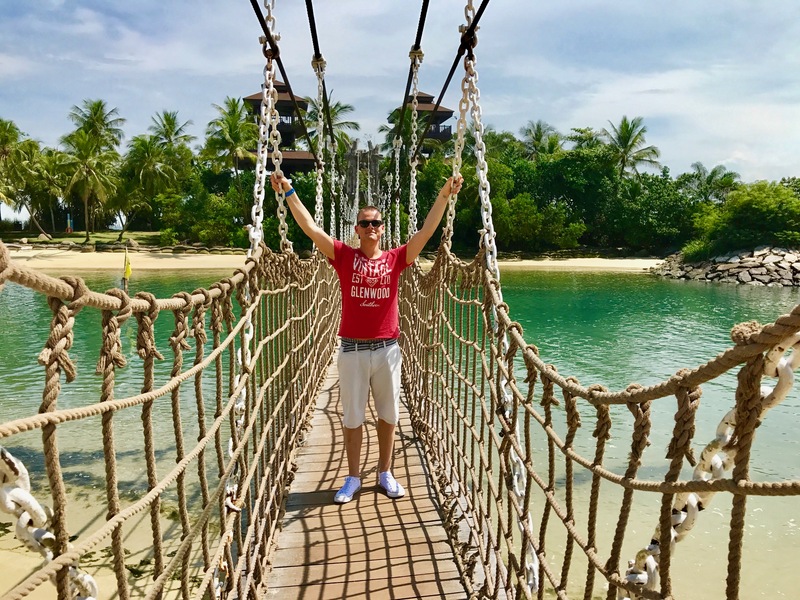 Finally my dream has come true and I spent 6 days in this vibrant, exciting and extremely impressive metropolis, before I continued my Asia-trip to Bali Island. warm-heartet cultures lets this city become so unique and is so deeply worth to visit. taxis – it’s fantastic to visit such a clean metropolis! 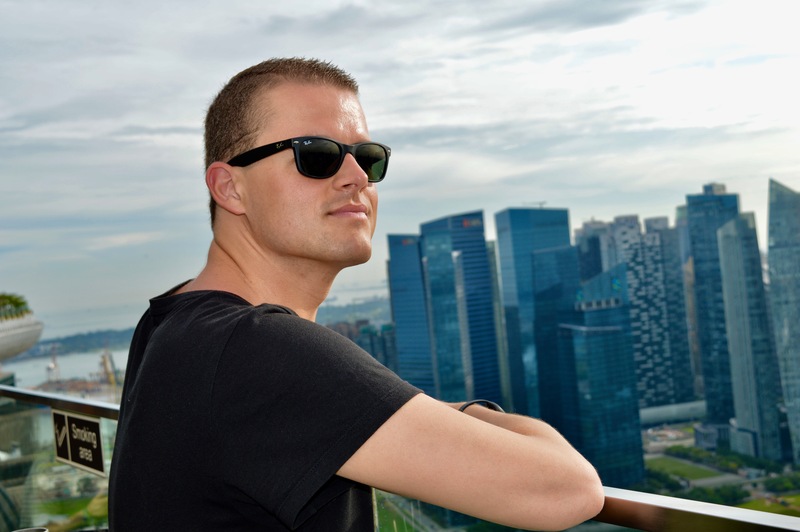 I am delighted to introduce you the fascinating Singapore! 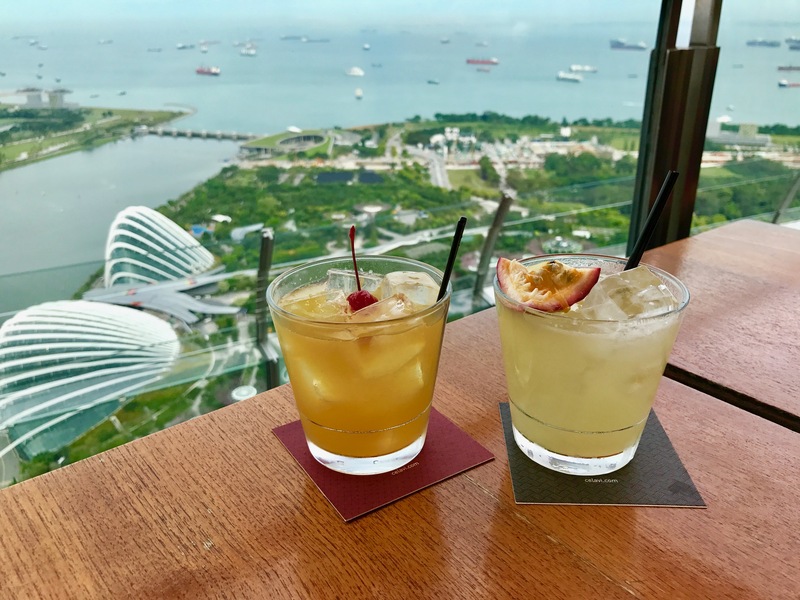 Enjoy a cocktail at the Marina Bay Sand´s rooftop bar and enjoy the view – unforgettable! 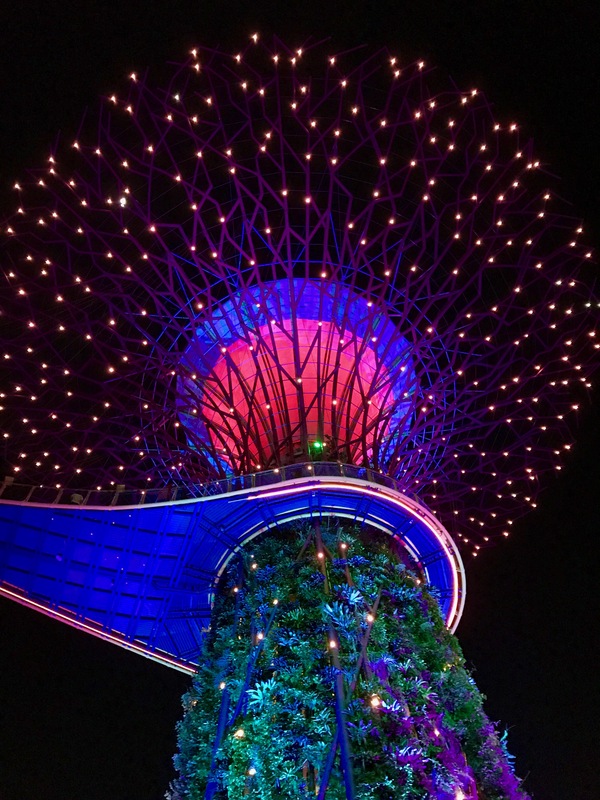 Take part at the Gardens by the bay lightshow – absolutely unique! 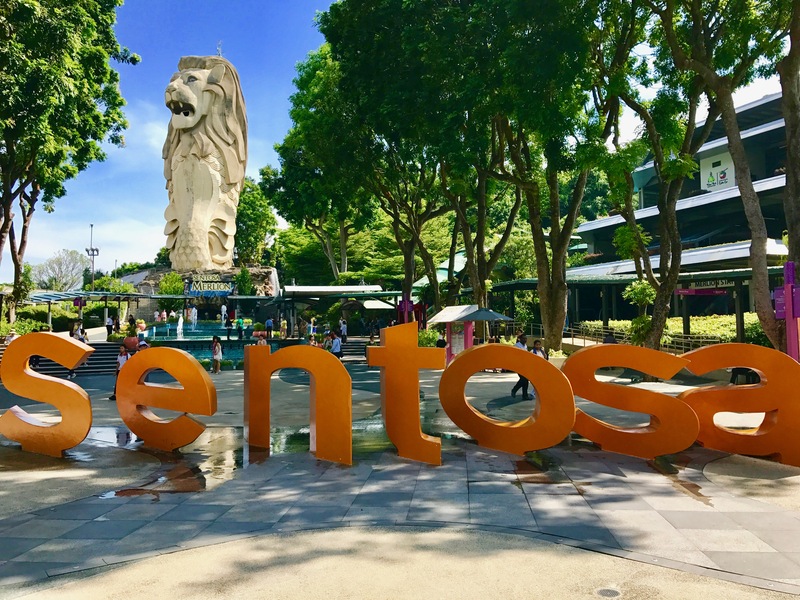 Spend a day on Sentosa Island – Relaxation and fun guaranteed! 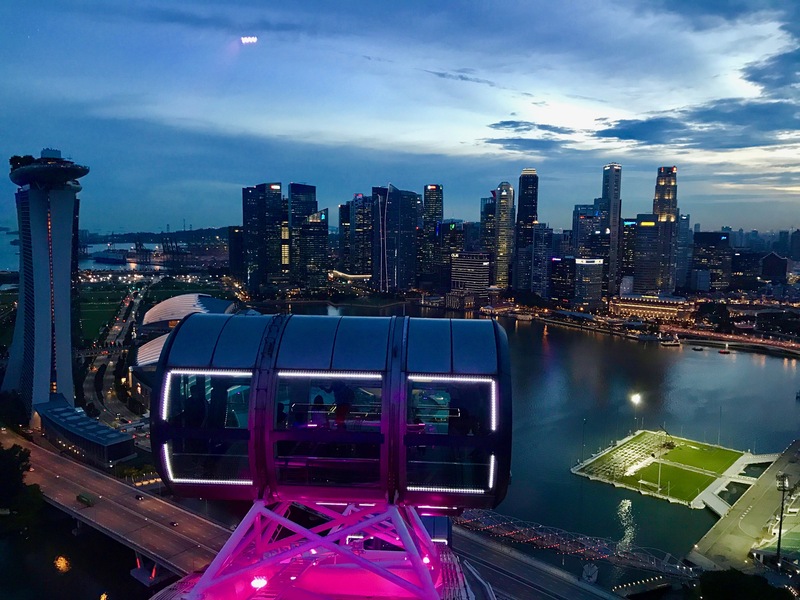 Take a ride in Singapore Flyer while sunset – more than fantastic! 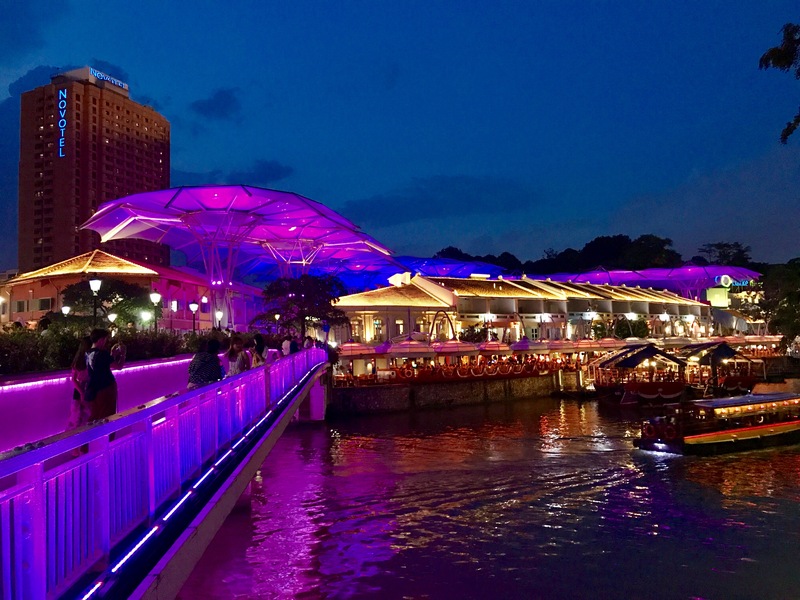 Stroll along the Clarke Quay at Singapore River – so beautiful! 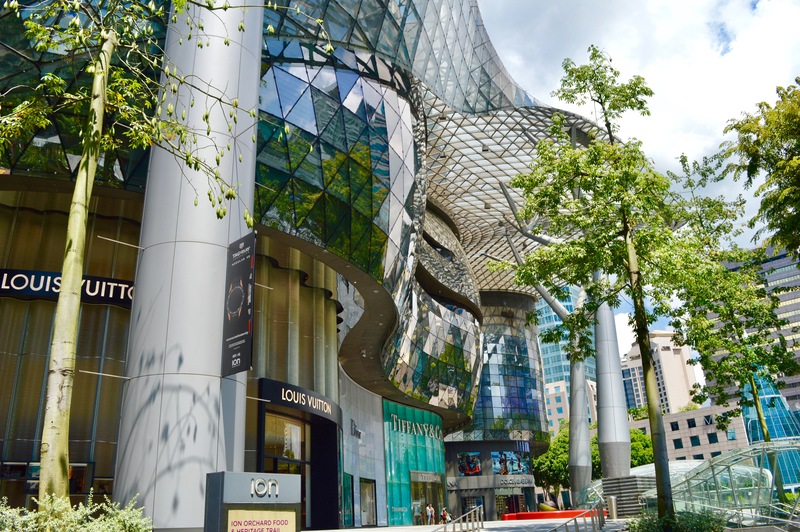 A special thank to the tourism department of Singapore, http://www.visitsingapore.com, who has generously supported my trip. The trip to Singapore started from Munich airport, Terminal 2. 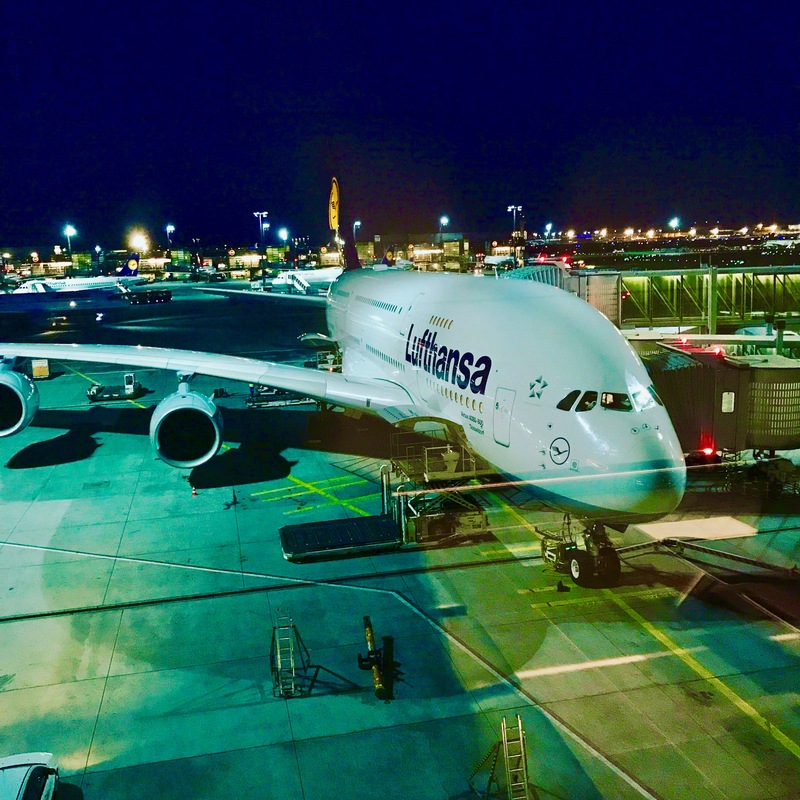 After a short stopover in Frankfurt, the 12-hour outward flight was operated by Lufthansa in their flagship Airbus A380-800. SWISS operated the return flight in their Boeing 777-300 ER with a short stopover in Zurich. Click here for the detailed flight report. 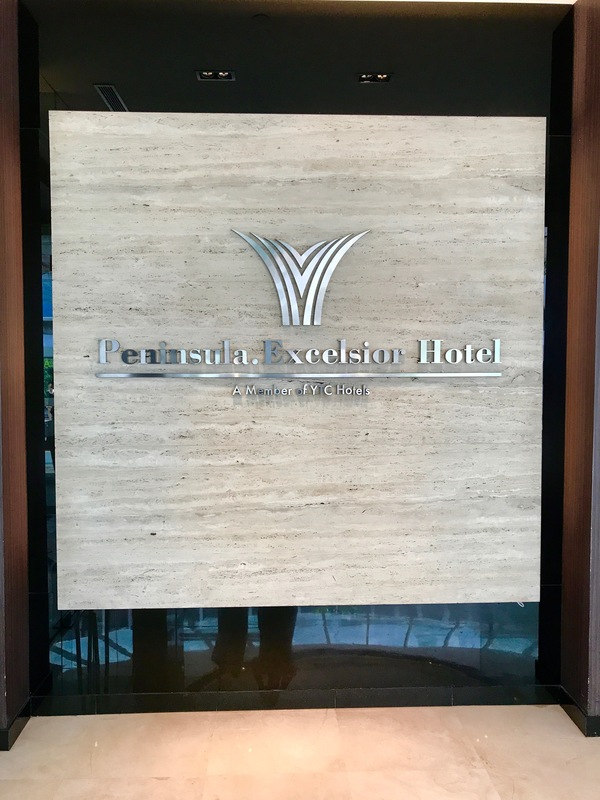 During my stay in Singapore, I lived in the Peninsula Excelsior hotel, located in the heart of the city and close to Marina Bay. A separate review about the hotel is published here. 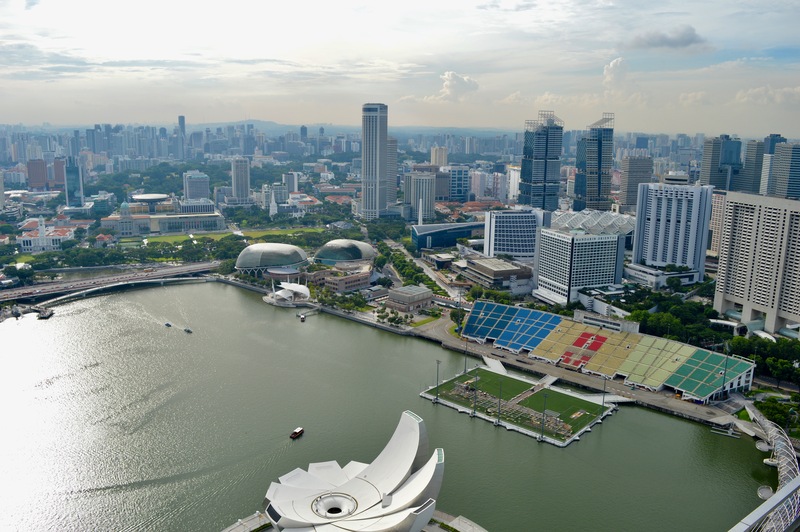 Opposite my hotel, near the Marina, there is the waterfront area Clarke Quay. 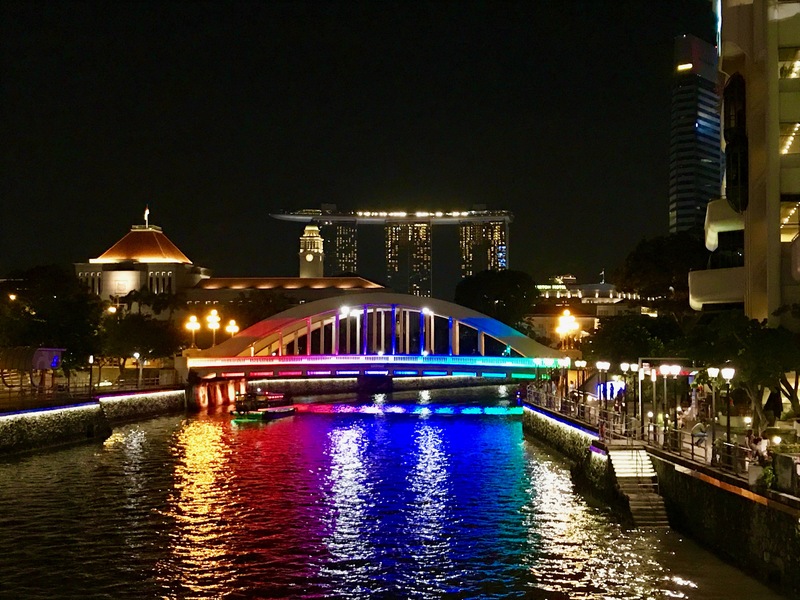 Along the Singapore River, restaurants and shopping malls are lined up, live music sounds from the countless bars and the beautiful Illumination there lets the entire area become such a beautiful place – definitely worth to visit! 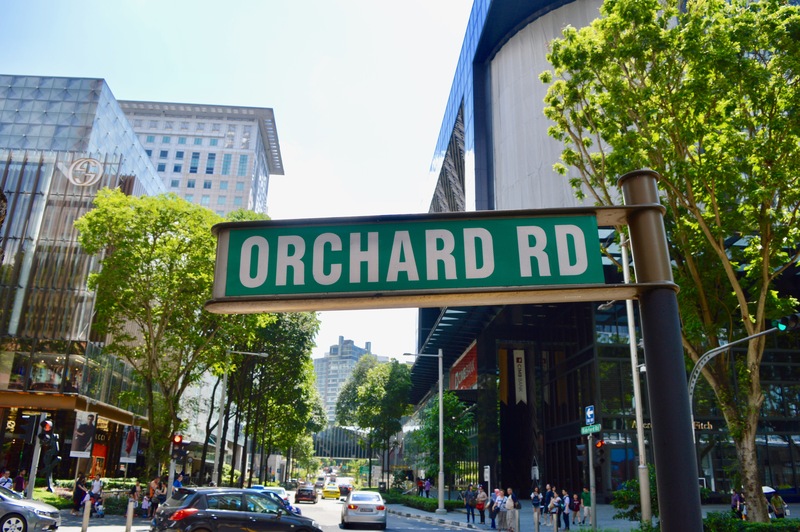 The Orchard Road, the most famous shopping street in Singapore, starts just a few minutes away from my hotel. 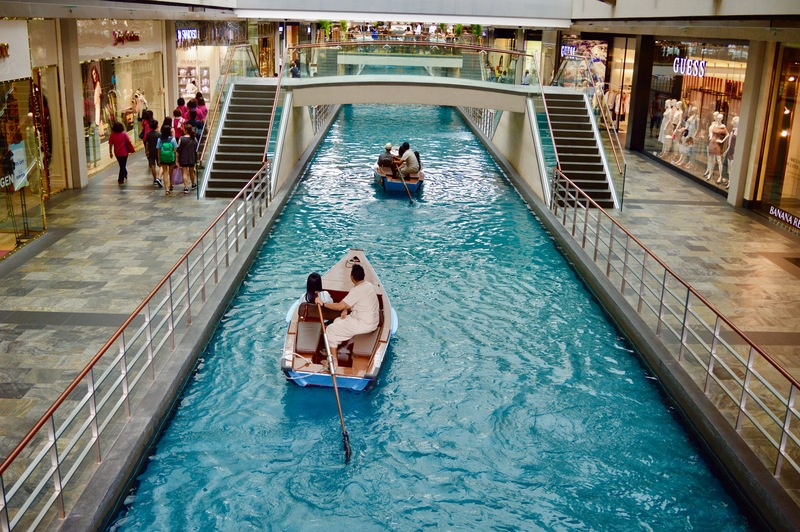 A lot of modern and various shopping malls are lined up, similar to those in Dubai. Fully air-conditioned and with numerous restaurants inside, they´re also great to escape from the oppressive-hot air for a while. 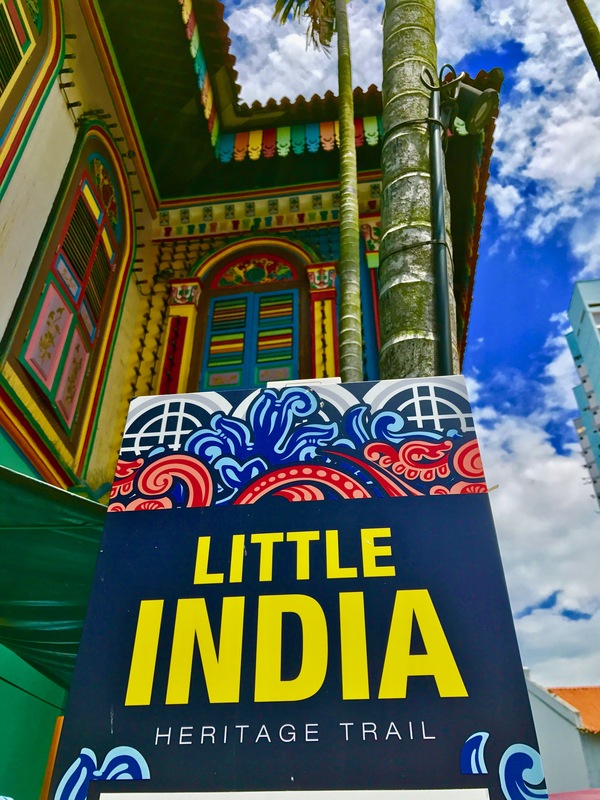 Just a few minutes from the ultramodern shopping centers and lofty buildings along Orchard Road, there is a completely contrived district – Little India. 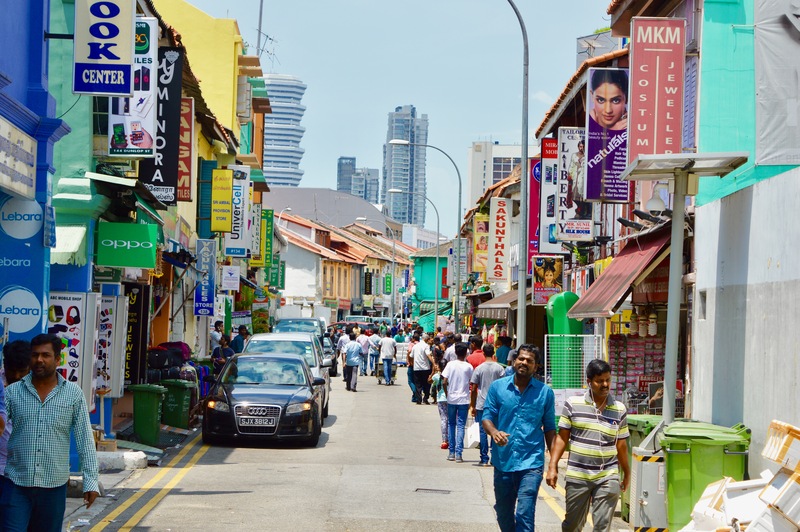 A colourful district, where you can find diverse electronic and textile shops. 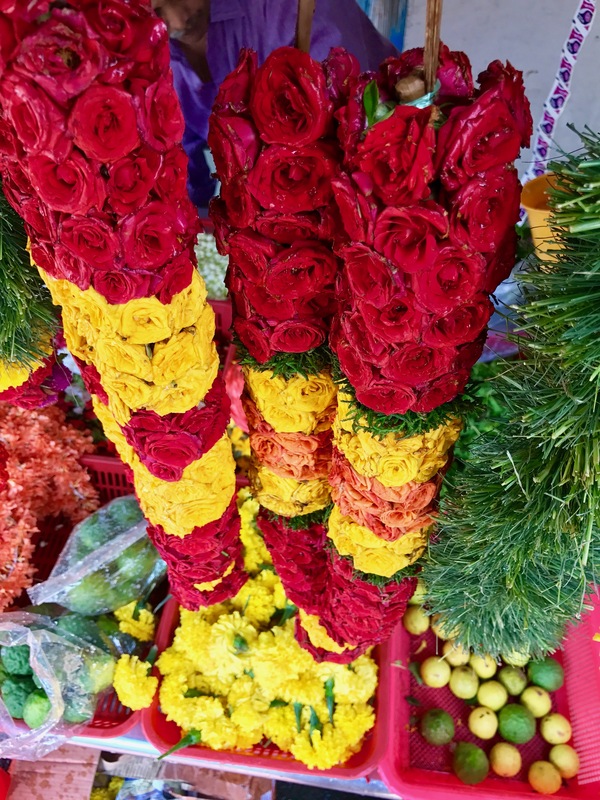 As fresh fruits and vegetables, as self-tied flower bouquets can be bought as well, which embellish the local streets in their own sweet fragrance. 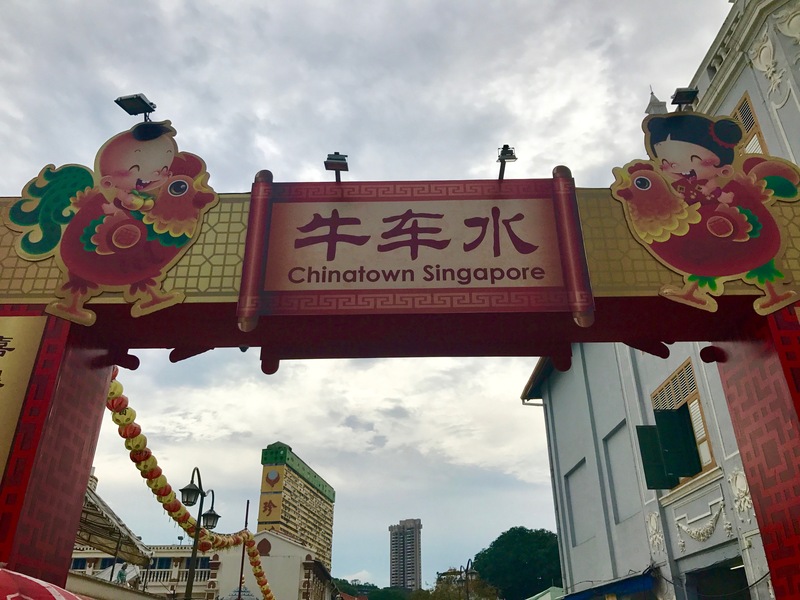 another country – Chinatown Singapore. 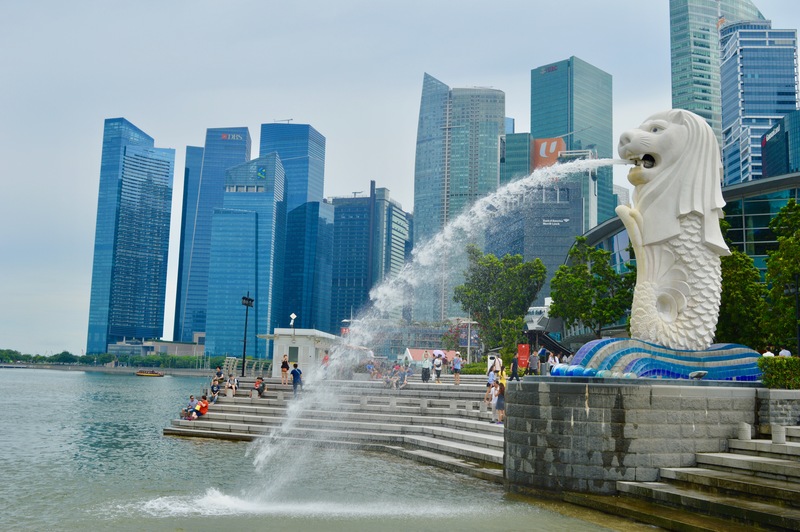 The official logo and landmark of Singapore is located at Marina Bay – the Merlion. The word is derived from Mermaid and lion, which is to symbolize the strength and affinity with the sea. 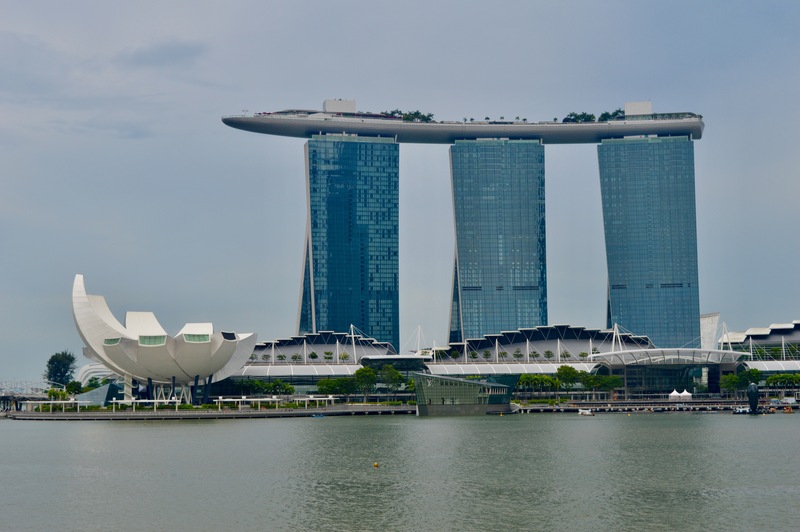 The spectacular and most famous hotel in Singapore is located on the opposite side of the Merlion – the Marina Bay Sands Hotel. towers – never seen in such a way before. (over 600 tables), a museum, an ice skating rink and two theaters. The main highlight of the hotel is the longest infinity pool in the world, which is located on the roof all over the three towers – but usable only for hotel guests. But also as a visitor it is worth to visit the 191-meter-high towers! 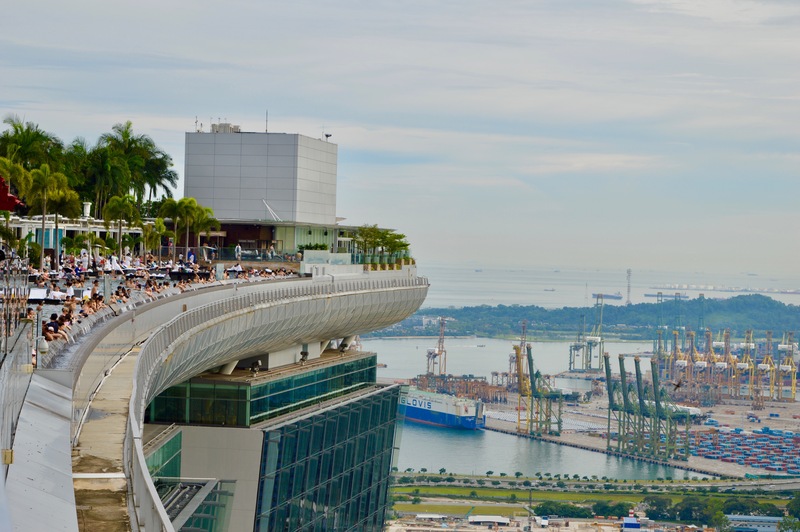 Small Tip: Don´t visit the Sky Park on the 56th floor! a floor above the other tourists. 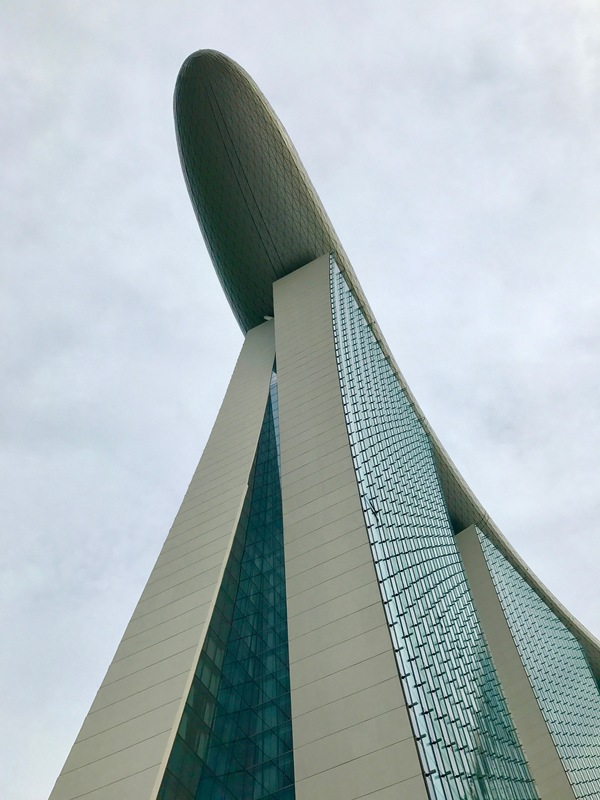 No matter what perspective – the Marina Bay Sands is more than impressive! 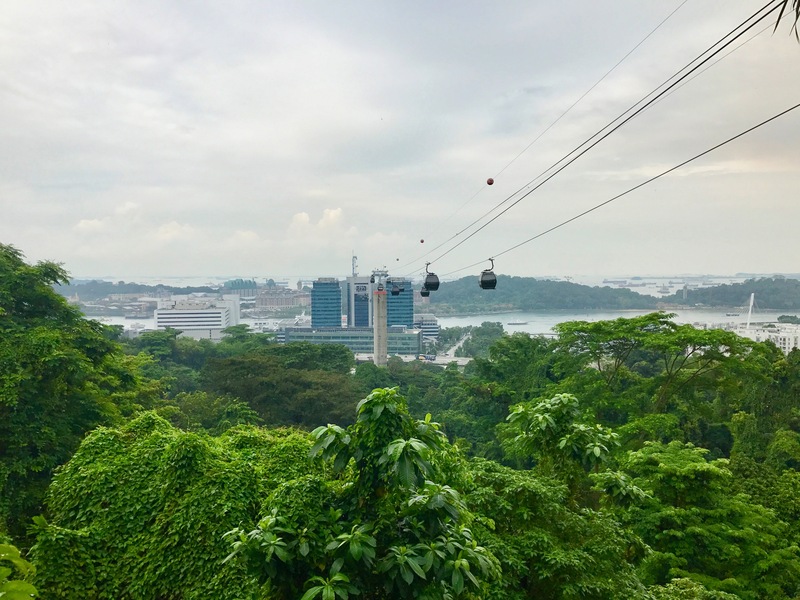 … the world’s second highest ferris wheel (165 meters) in the world – the Singapore Flyer. I can highly recommended everyone to do the 30-minute drive while sunset! 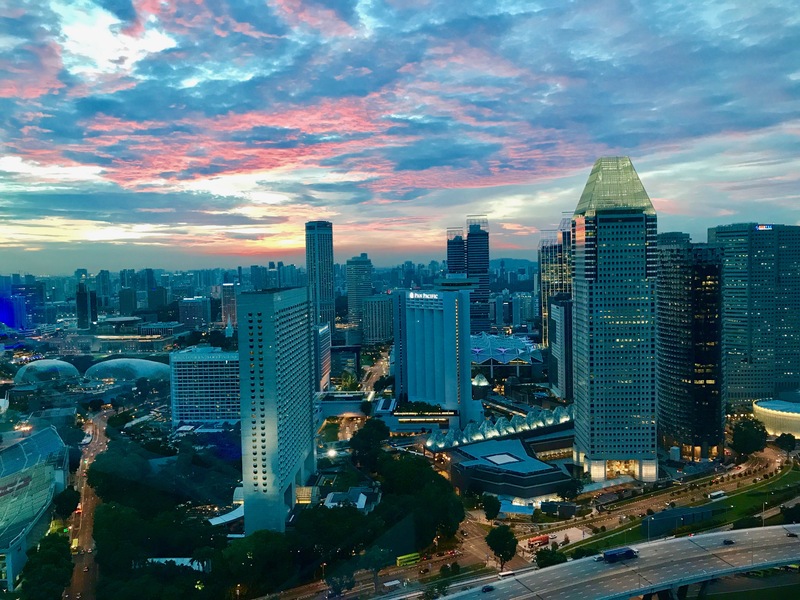 Singapore offers its magical and fascinating side when the sun slowly disappears behind the skyscrapers of the business district and captivates you with its thousands of colours. 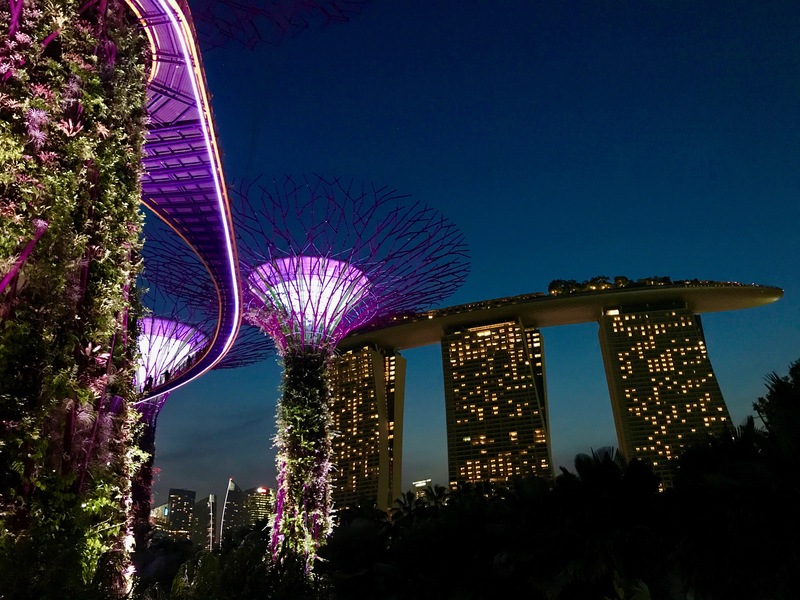 The most impressive example are the Gardens by the bay. 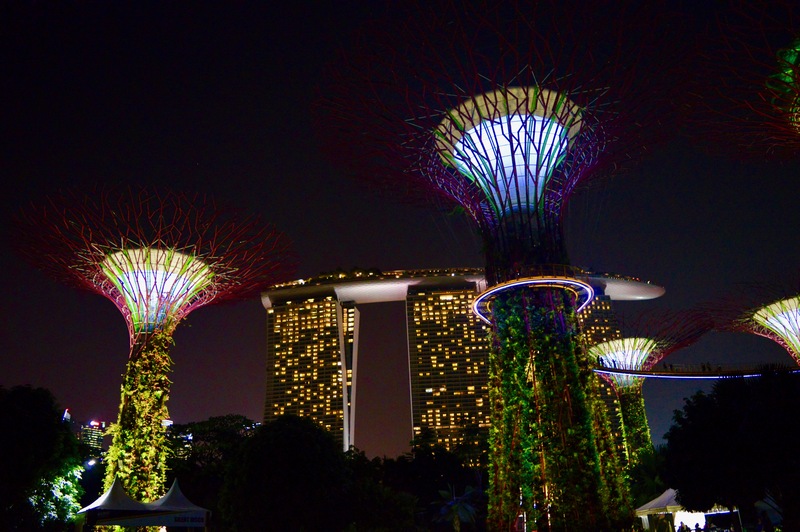 The Supertrees form the heart of this large park, built in the shadow of Marina Bay Sands. Especially after sunset, these artificial, oversized and beautifully illuminated trees are extremely impressive. The highlight, however, is the fascinating light and music show, which takes place twice every evening. Loud, classical music sounds out of the trees and they light up to the beat of the music – beautiful and absolutely unforgettable! 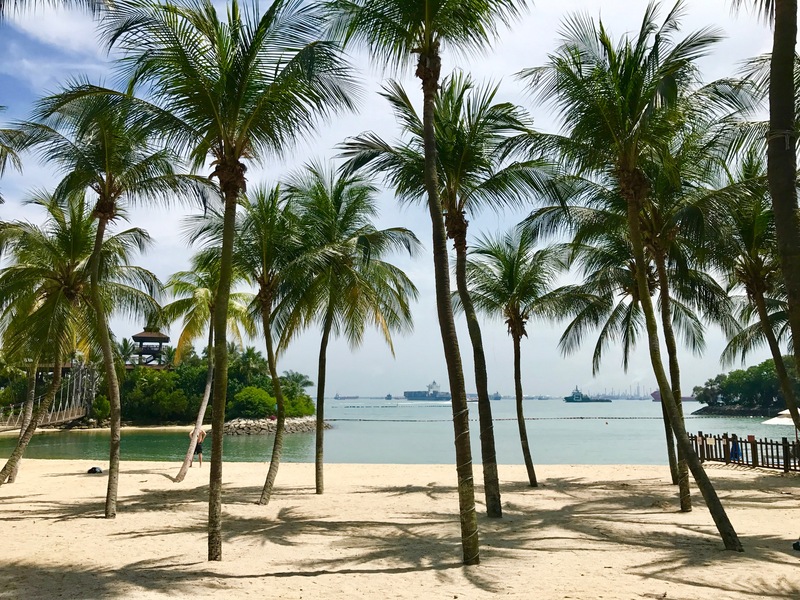 Another highlight in Singapore is an thrilling island, which offers several possibilities for entertainment and relaxation – Sentosa Island. 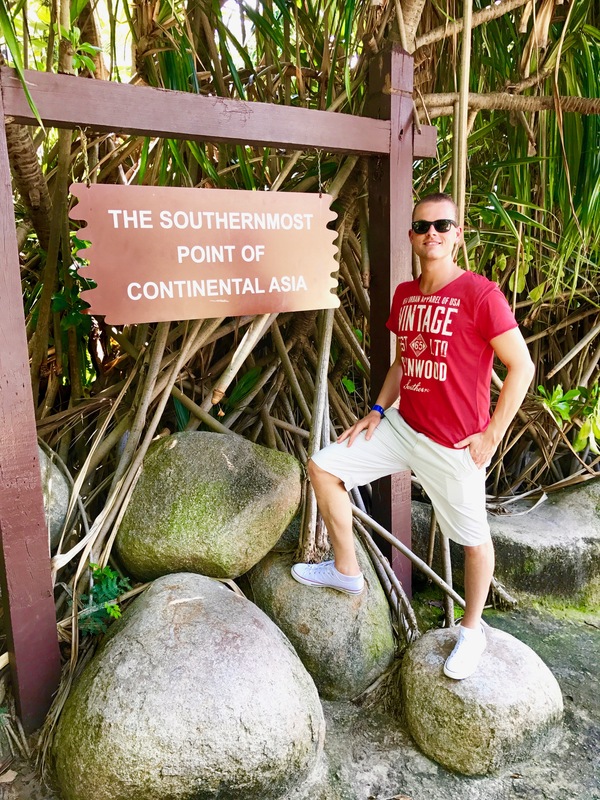 … you will find the southernmost point of continental Asia. 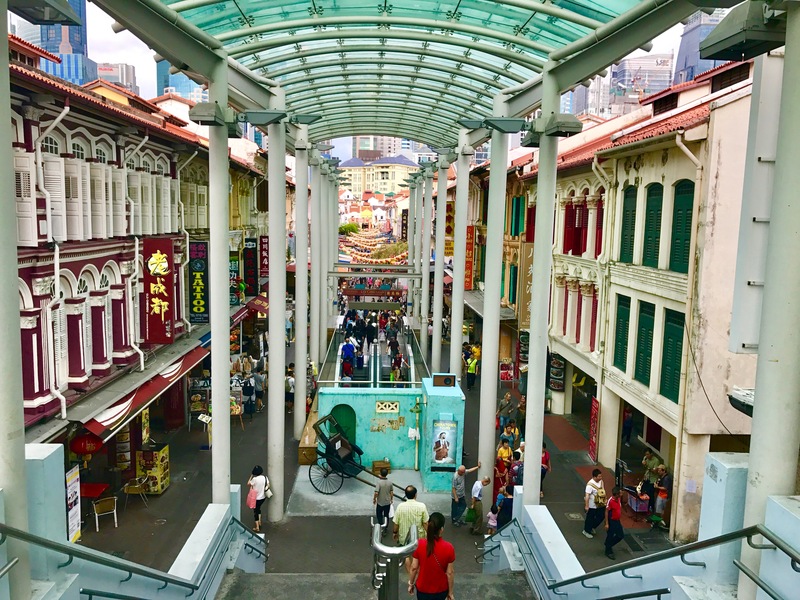 a casino and a walk-in replica of the Merlion statue. 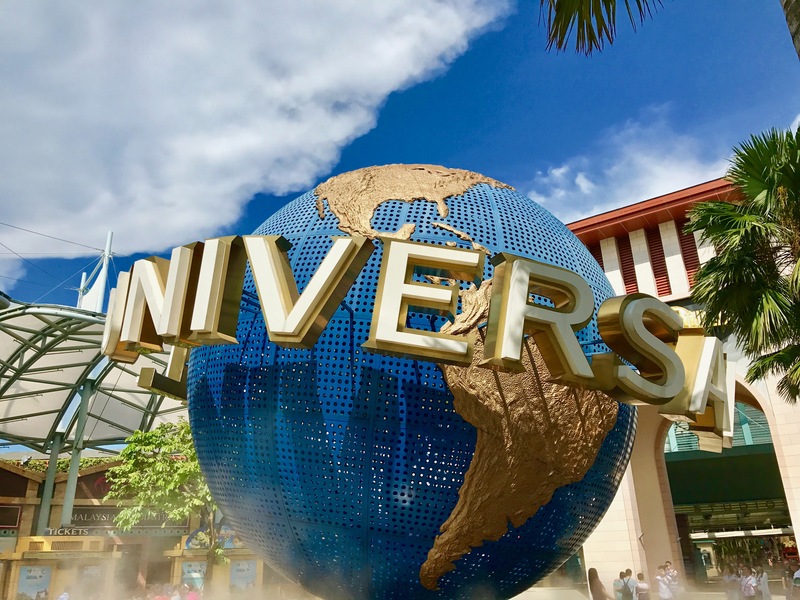 The impressive Universal Studios with its adjacent theme park is also located on Sentosa Island. All the sights on the island can either be reached by foot or you can take a bus or two cable car-lines. 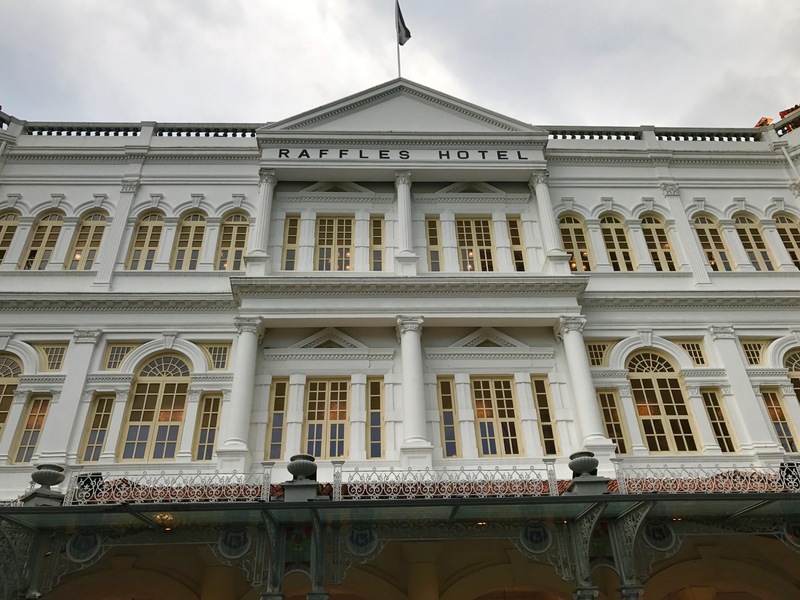 I ended my trip to Singapore with a visit in the legendary Raffles Hotel. 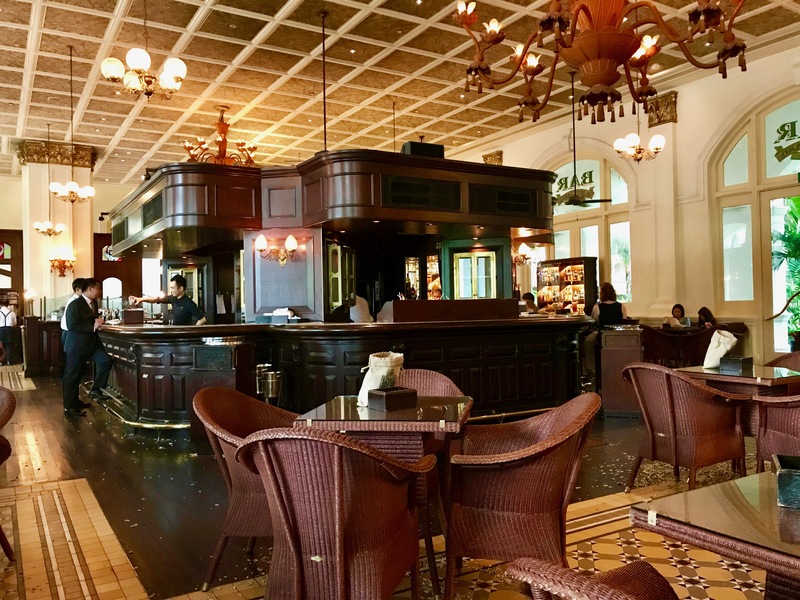 … the Long Bar, where the famous cocktail Singapore Sling was invented in 1910. Even if the cocktail isn´t cheap (about 25 €), I had to taste it! 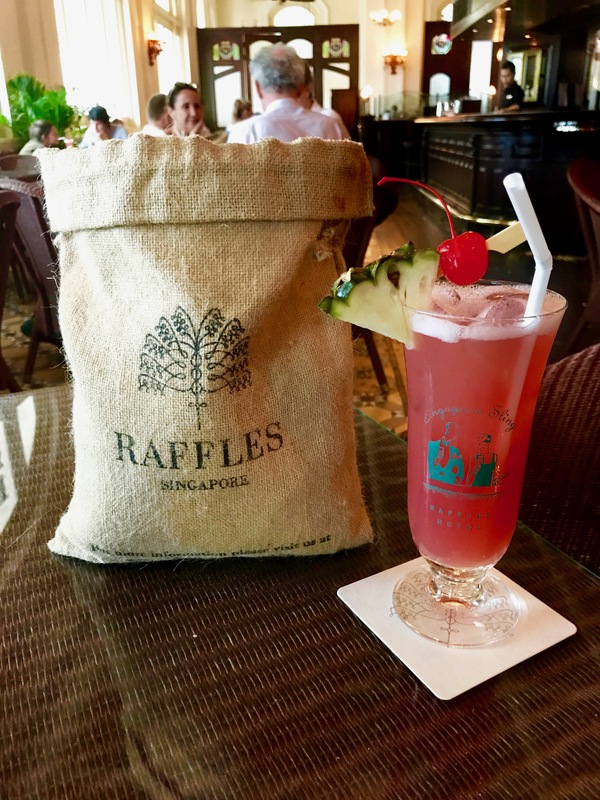 Especially since a legend says that you will come back to Singapore, if you once have enjoyed the cocktail in this legendary place. In the Long bar, there is a bag of peanuts on every table. 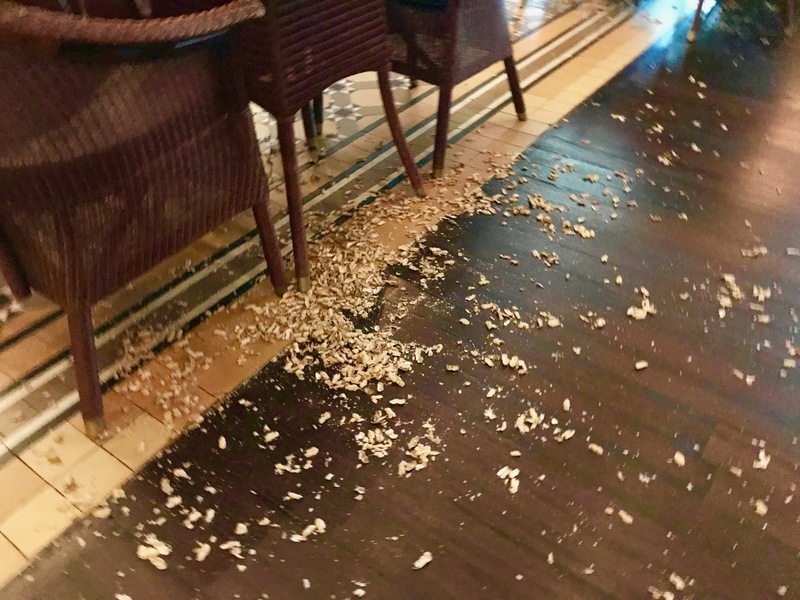 Throwing their shells on the ground is a special feature of the hotel – nevertheless it seemed a bit strange for a 5-star hotel. 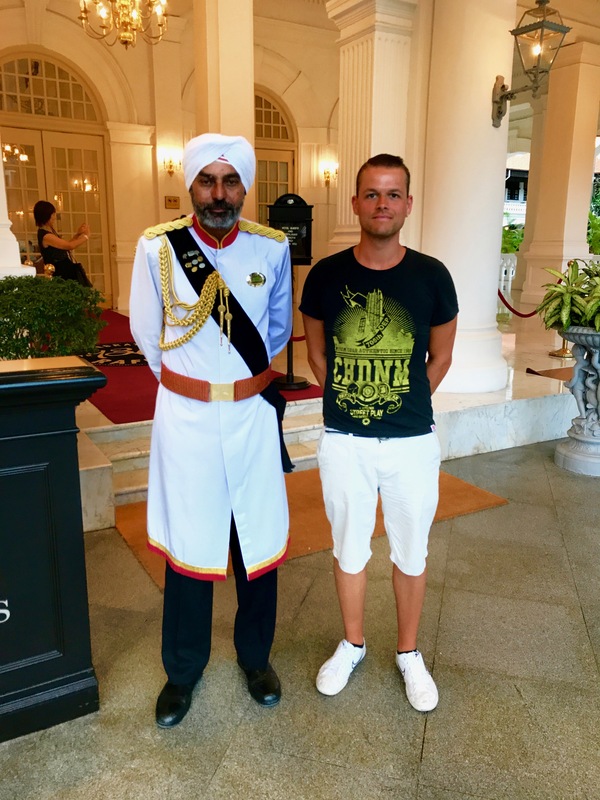 A photo with the legendary Doorman Narajan Singh couldn´t be missing, of course. For 25 years he is the icon of the hotel, which was built in 1887. I have to say goodbye to Sinpagore with a last view from the rooftop of Marina Bay Sands Hotel. It´s a goodbye from such an impressive metropolis, which is so contrasting and fascinating as no other city I´ve visited before. humid-hot climate and the extremely sympathetic Southeastasian population. 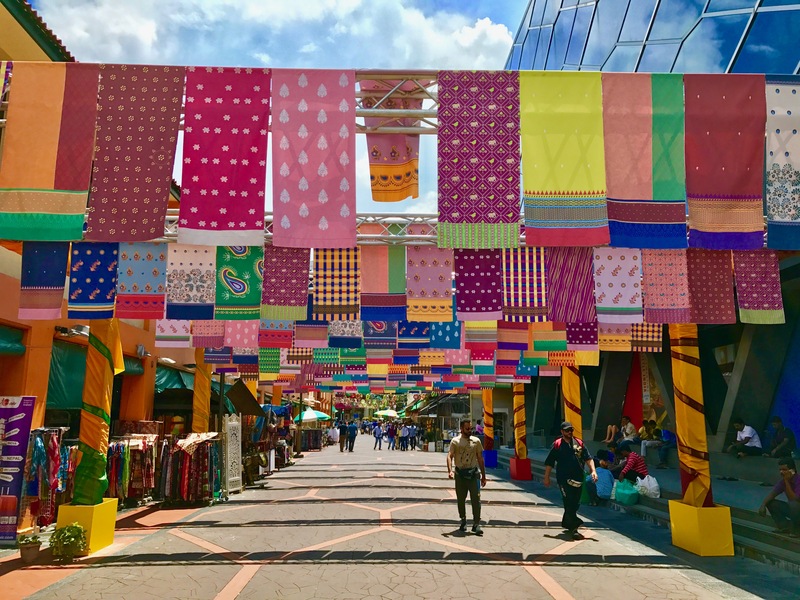 I was also amazed how modern the city is – every taxi offered the possibility to pay by Credit card, the roads and overall infrastructure are excellent and the shopping malls are at the same high level as those in Dubai. 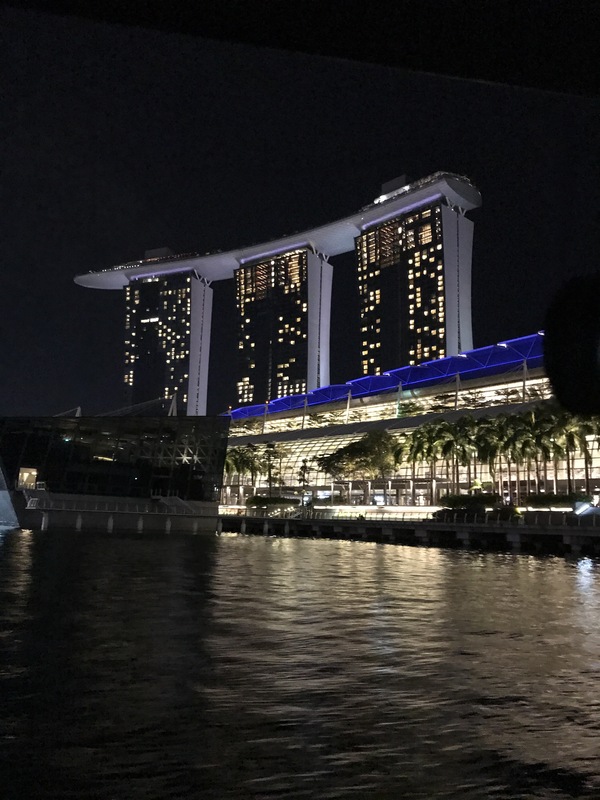 But even strolling around at the Clarke Quay along the Singapore River in the evening, listening to live music and enjoying a delicious cocktails – this is what I remember and this is what I´m already looking forward to do at my next stay in Singapore.